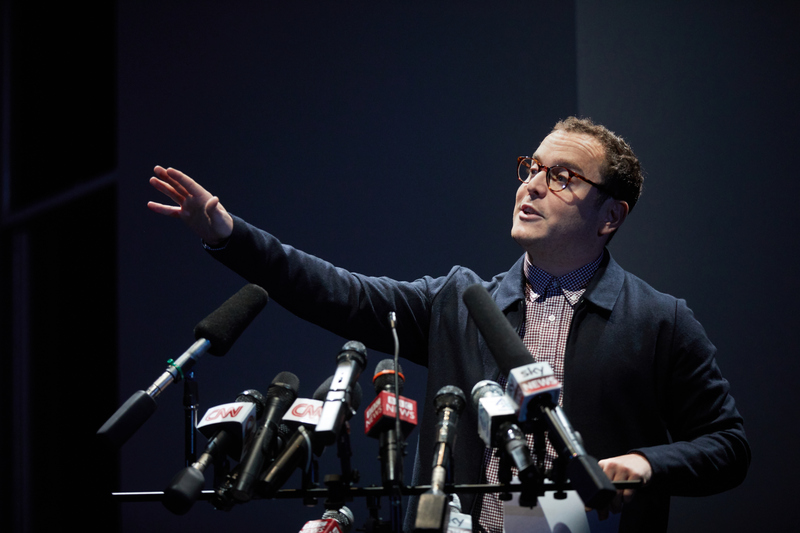 The new political drama by David Hare explores an alternative modern-day political landscape, focusing on the turbulence of the leadership race in the Labour Party yet fails to mention ANY current political issues. 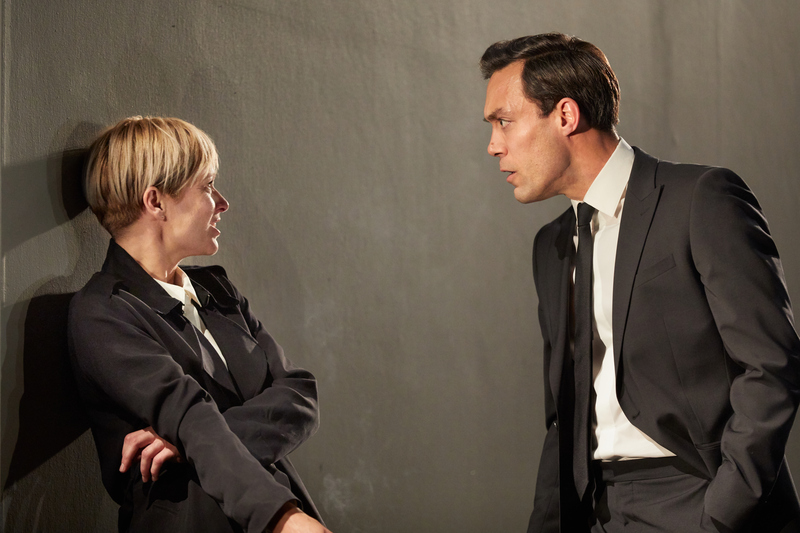 The play follows two main characters, Pauline Gibson played by Sian Brooke (Sherlock), and Jack Gould played by Alex Hassell (Cold Mountain) who depict this complicated political romance. The pair met when they attended university in Newcastle together and what follows is a 20-year rivalry after a failed courtship. The play flicks between different periods in both Pauline and Jack’s history as well as that of the Labour Party. For example, 1996/7 in the midst of Blair’s time in office which coincides with Jack and Pauline’s time at university; 2008 in the middle of the economic crisis and the characters navigating their career, Jack as a lawyer/politician and Pauline as a junior doctor at her local hospital in Corby. Finally, to modern day which is categorised by turbulent politics and the build-up of Jack and Pauline’s political rivalry as she debates whether to challenge Jack in his leadership ploy. Despite the relevance of the play’s storyline today, it is a slow burn that only reaches a climax in the closing few seconds when Brooke’s character answers the question to the title of the play – is she running for leader or not? What is interesting about this play is that the title has a double meaning as Pauline admits that she ‘is not running’ from her troubled past at home. 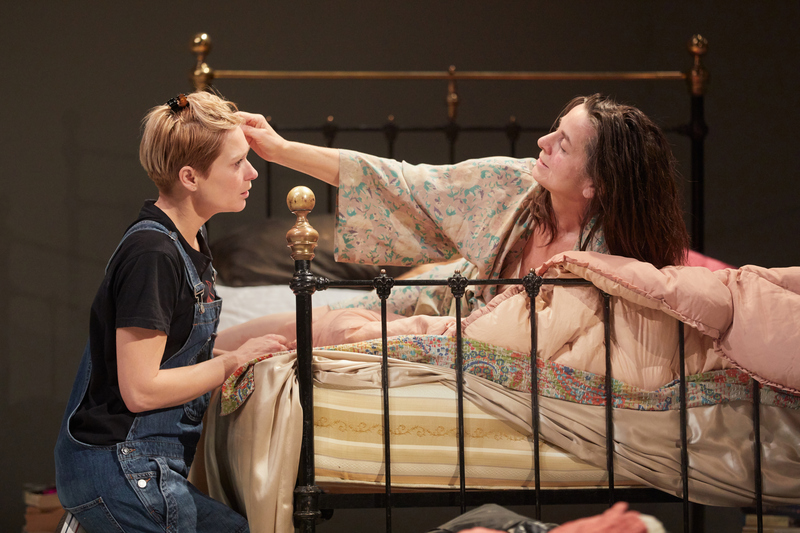 Throughout the show, particularly concerning Pauline, there are revelations of a broken home and complicated relationships with her parents. Pauline has a difficult relationship with her mother who is a drunk and drops the bombshell that she is dying a week before Pauline leaves for university. There are also remnants of scars left from an abusive father. With Jack, he embodies a typical student looking for himself and trying to escape out of the shadow of his overbearing parents, particularly his political father; a shadow that follows him throughout his political career in the play. The play is categorised by a series of heated interactions between Pauline and Jack that are both politically and romantically motivated which promises the momentum of the play, but more often than not this falls short. As much as I enjoyed this play as a spectator, critically the show did not make a significant impact despite covering a range of topics – politics, feminism, relationships, adultery, health-care, family, domestic abuse and trauma. On the other hand, however, a focus on other general political issues such as the misogyny of the Labour Party and the rise of feminism in politics is perhaps a refreshing change and suggests that there are issues outside of Brexit. For more stage-on-screen events, head to dukes-lancaster.org to keep up to date with all the latest theatre productions nationwide!